Growing up, I was into swimming, hence Aquaman was my guy. Something about being able to transition and dominate water to land that was fantastically euphoric. Most of my young comrades invested numerous hours watching and emulating a vast panorama of super heroes. I suppose my theory is that creative imagination can take us anywhere in the universe, and sometimes that can be a better place than where we might live. Over the years, the digital age has improved in such dramatic fashion that the limitations of creative imaginings have been completely removed. Movies just keep getting better and better at replicating our own creativeness. 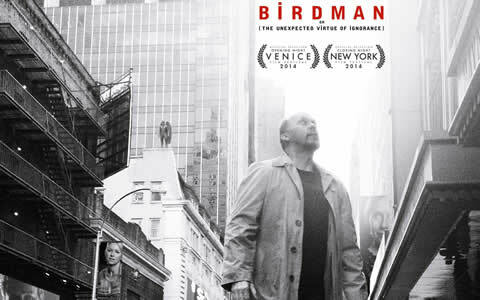 So with superhero themed Birdman winning this year’s top industry award, we find the two universes of “human reality” and “human imagination” combining into a winning combination. With over millions within 100 countries around the world tuned in to see the pageantry of Hollywood’s finest stars, it certainly creates advertising opportunities to drool over. With the majority of speeches dripping with the same as the year before thank you to everyone flows, I would like to coin a new phrase for marketing around these types of speeches as “admiration marketing”. I’m always moved watching wide open loving thank you speeches from person to person that of course represents the culmination of years of work into top level achievement. It’s like Valentines day on steroids and what’s so wrong with that as it surely beats the hell out of our normal stream of chaotic news. All the ad dollars being spent in and around the Oscar’s, movies, awards, speeches, dress designers, etc. to reward the admiration we have for the people creating fantastic movie products for us to enjoy, to me seems like money well spent. More often than not, the artists of the world make it a better and more human place. Former cinema superhero Riggan Thomson (Michael Keaton) is mounting an ambitious Broadway production that he hopes will breathe new life into his stagnant career. It’s risky, but he hopes that his creative gamble will prove that he’s a real artist and not just a washed-up movie star. As opening night approaches, a castmate is injured, forcing Riggan to hire an actor (Edward Norton) who is guaranteed to shake things up. Meanwhile, Riggan must deal with his girlfriend, daughter and ex-wife. I watched it last night – it was a pretty cool movie. I liked that it used Keaton’s own history with superhero movies so well – a sly dig at George Clooney who replaced him as Batman, and the voice of the Birdman character had to be a poke at Christian Bale. The soundtrack was really compelling too, and the camera work and editing, which made it feel like one continuous shot was Oscar worthy as well. I am looking forward to seeing a revival in Michael Keaton’s career, and the director is definitely one to watch.